In order to share a quiz with another Socrative user, you'll first need its unique SOC number. 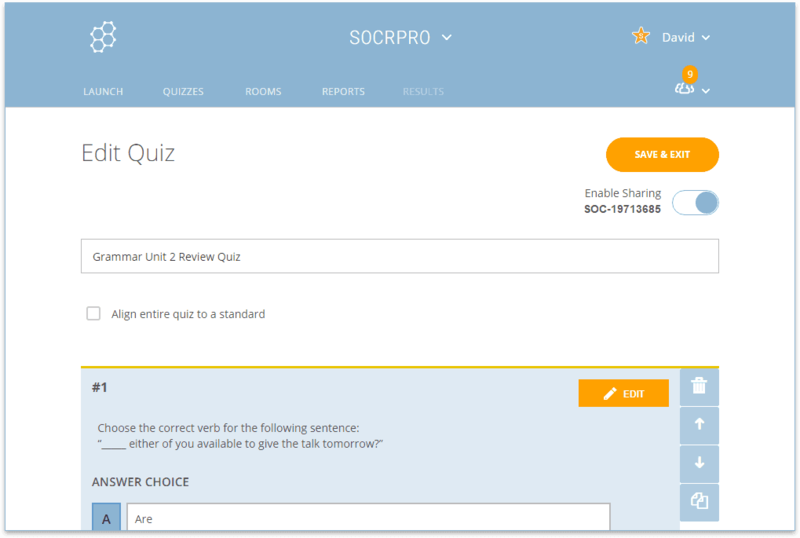 For more information on importing a shared quiz, please see our Help article, Import a Quiz from Another Socrative User. Next, select a quiz from the list; doing so opens the Edit Quiz window. Make sure that the Enable Sharing toggle is on. Copy the Enable Sharing SOC number (e.g. SOC-16129635). Now, just share the copied SOC number with your colleagues! 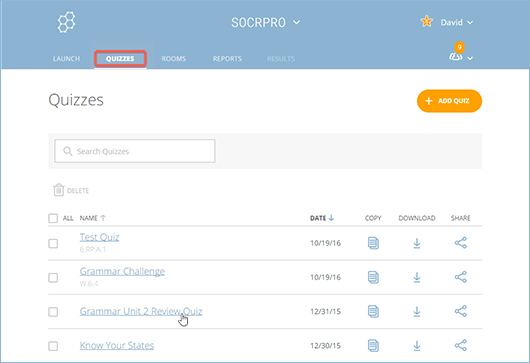 For information on how they can import your shared quiz, please see our Help article, Import a Quiz from Another Socrative User.